A student at my alma mater, Kenyon College, contacted me during the winter to ask me, through an alumni network, for my advice about "moving up the ladder" as an editor. The question arrested me and made me think as I hadn't before about just what I aspire to as an editor. These are the thoughts I shared. "…As for editing, I think it is less a question of ambition and "moving up a ladder" than it is of becoming a fine editor, and that requires study and humility. As the primary editor at my press (I have a four-person editorial consulting board) I do two things: I select what I'll publish, and I help authors make their books as good as they can be for readers. In these capacities, my ambitions are for the authors and for readers, so I put myself aside. "I guess there's the element of ambition for my press, but that is fulfilled by the care I take for the others. My greatest achievements as an editor have been with the two brand-new authors I've chosen. One was straight from her MFA in fiction-writing. The other was a retired public-school teacher who had never written before. I saw an important but poorly-shaped story. The writer definitely had the drive to make the book work, and I guided him for two years—including referring him to an outside editor—to bring it to publication and to eventual achievement of a YA-prize. I doubt that many editors would have given him the time of day. But I think that's what an editor should do: Look deeply into the author's potential and the potential for bringing something important to the public. It's not a matter of burnishing oneself or the press with authors’ reputations. "To get into editing, prepare yourself by understanding what writers do by studying their work through reviewing. You might join NetGalleys as a reviewer and review a couple of new books every month, reading and reviewing them with the knowledge that your words will help shape the prospects for that book, and will count to the author, the publicist, and the public. Get used to framing an opinion that has a real effect, one that you take responsibility for. Another place you can do this is the Washington Independent Review of Books and similar publications that invite reviews. If you write for these, you practice taking responsibility for authors and for your opinions. "I'd advise reviewing as many genres as you can, to broaden your information and tastes, to improve your literary "muscle tone," and to know what's out there. This can serve you well when you present yourself to potential employers. Having a variety of areas of knowledge, and to show breadth in a review portfolio will be an advantage. "The other thing you can do is to write and have someone read you and discuss your work routinely. You need to be very aware of the difficulty of writing, to know that it is all about error, editing, patience, time, application, attention, and excellent thinking. You'll get to understand how much all of those count, and that none can be missing. You'll appreciate how difficult it is to bring a book about. And it will make you both compassionate and demanding as an editor. "If I were to hire another editor, I'd want someone secure in her own judgment, but I'd want to know that her judgment was solidly based on critical thinking, reading, writing, and focus on authors and readers. Ultimately, to you, I say, treat editing as an avocation and a privilege, not an ambition, and you’ll be on the road to excellence." For a course in publishing at Columbia College in Chicago, Margaret Smith chose Upper Hand Press for her final project, and interviewed publisher Ann Starr. This is a selection from her final paper. We thank her for sharing it with us! "Ann Starr is the founder and editor of Upper Hand Press in Columbus, Ohio. She is also the author of Sounding Our Depths: The Music of Morgan Powell. She is an artist of many mediums, giving recognition to motherhood and her travels as major influences in her life and work. How did you get started in the publishing world? I got started on a mission. A dear friend whose work I'd been reading in manuscript, who had and published in journals for years, had an "orphan"novel. The work had twice been taken up by Big Five publishers but then released because of negotiations over a second book. 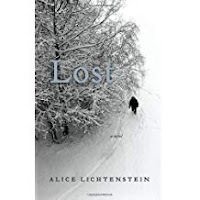 I'd known the novel since she'd begun work on it, and I'd always loved it and thought it wise and beautiful. I decide that I'd get the book into print myself, I felt so committed to it. I opened my press to publish One Hundred Years of Marriage. Not wishing to experiment on One Hundred Years of Marriage, now it its second edition, I published my own book of essays, Sounding Our Depths: The Music of Morgan Powell first. I'm glad I did that, because I learned the basics. There are errors of presentation that I learned not to make again, and I got to know my printer well. So, you see, I am a naif who plunged in and have been learning by making mistakes and taking big leaps ever since. I have little information beyond what I've needed to make the next book. I founded in late 2015, and I'm getting better with every book. I wish I could afford a staff, and I'm still some ways from profit. I fund the Press entirely from my own pocket—a part-time job, Social Security, and a small alimony. I live frugally. What is the biggest error a writer can make when it comes to submitting their work? I read manuscripts thinking not that it will be rejected, but that with the mindset that this is potential for my press. What I'm reading may be golden. It's like the teacher who tells the class that everyone starts with an 'A.' But I do see some big mistakes that are easily avoidable and tell me a lot. Ill-written cover letters can be a deal breaker. Errors of grammar, syntax, and spelling; unsuitable tone, especially pomposity. Evident lack of research into my press's character, or the assumption that the audience for the book will be "anyone who likes books and reading"—that is, writers who haven't thought specifically or realistically about the future of the book. Is there a book or collection, recent or from the past, that has come out that you wish Upper Hand could have gotten their hands on? No. Every press is defined by the editorial choices it makes. To wish I had another press's title would be to wish for something that's probably not really definitely of Upper Hand Press. There are lots of books I admire, but if I really had them, they might refocus my list. I think not only of my books, but of the family of my authors with whom I keep in touch and share news about one another's successes. They are all in relation to one another. When I choose books, I think about the ways the book and author will fit. As a writer yourself, do you have a motto or words to live or write by? Don't try to be an author. Just write as well as you can. As an editor, do you have any wise words to writers? I can't overemphasize the importance of the first page. If it doesn't sparkle, it's heavy lifting to bring the reader along afterwards. Books are made of sentences. Sentences are composed of well-chosen words ordered grammatically, correctly spelled, and thoughtfully punctuated. When sentences depart from norms, the writer's reasons must be emphatically clear. Good sentences take time to write, and every one matters. Books are made of sentences and they are made of time. When any of these critical elements—good words, technical astuteness, strong sentences, or time—is missing, it's easily detected." Submissions season is over for 2018. It was a boom year for submissions and I'm grateful for the number and quality of authors interested in publishing with Upper Hand Press. I tip my hat to the many who submitted their work for my consideration and my editorial board's. It is a pleasure and an honor to be entrusted with so many writers' works and ambitions in thirty-page blocks. I am never uninterested in the people who send their work. Everything we receive is full of life; work and commitment can't fail to show. So thank you to everyone who took a risk and sent their best to Upper Hand Press and my eye. In the upcoming months, we'll be publishing three books, two by previously published authors, and one by a newcomer. 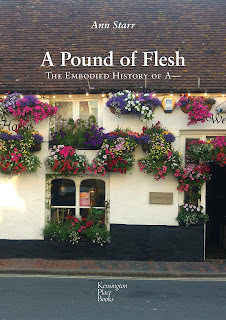 On August first, we'll bring out Nick Fowler's, My Virtuous Sister. 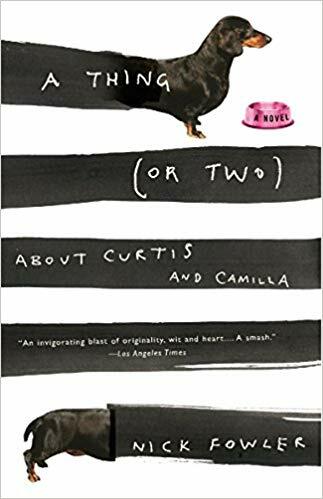 Nick wrote A Thing (or Two) About Curtis and Camilla in 2002 and it was a hit for Random House. It got reviews in places like the Times of New York and of Los Angeles and was a best seller in the United Kingdom. His new book, like his first, is set in New York City, but is a little more melancholy in tone as a younger brother seeks his beloved big sister, a rock star on hard times, in lower Manhattan. In December, we bring out Alice Lichtenstein's The Crime of Being. Alice comes to us from Scribner's, where she published her novel Lost, enthused over by NPR and the Time Book Review. Her earlier novel was Genius of the World, published with the late, lamented literary press, Zoland Books. In The Crime of Being, Lichtenstein cooly visits the hot territory of a hate crime's effects on juvenile perpetrator and victim, their families, the judicial system and population of the small town where it happens. William Cass's illustrated book Sam will open 2020 for us. This exquisite story sits in a comfortable chair that children and adults will share. The story is about a young girl who lives with her mom and plays by herself and the lonely, elderly man who can see her outside his window. Their friendship is told with warmth and penetrating insight into each generation. Young readers will love it; younger children will love to hear it; any adult will be happy to give it voice. Cass is a retired elementary principal, with many literary credits in fine journals. Keep up with our home page to see the details about these books as they are posted. It's exciting to have designers deliver us the new covers and to begin preorders. My Virtuous Sister is already up, so take a look, and be sure to visit the music website of our only rock-and-roll author: Nick Fowler's music. 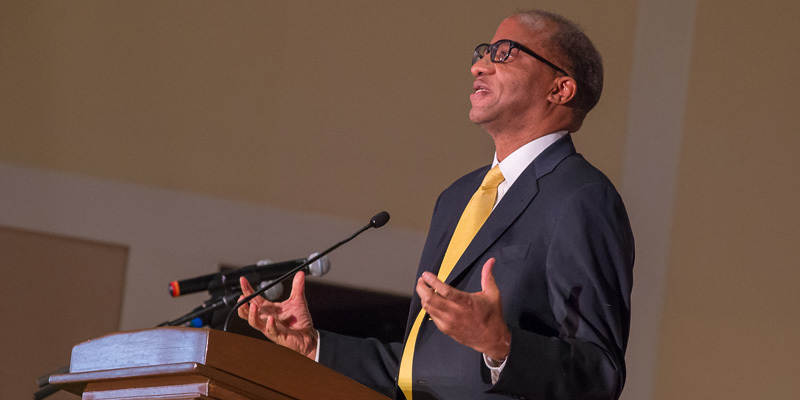 Last night I was among the many inspired by the towering historian and journalist Wil Haygood, who was back not only in his hometown of Columbus, Ohio but in his first alma mater, East High. 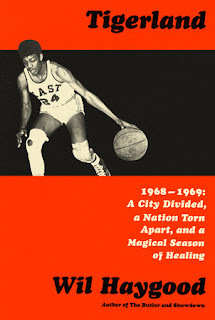 The 1968-’69 championship basketball and baseball teams of East, composed all of black players in years of civil rights upheavals locally and nationally, are the subject of his book, Tigerland, which he launched on this joyous occasion. Haygood brought many members of those extraordinary teams back for the occasion, and the stories of their teenaged struggles and triumphs were the meat of his generous, uplifting presentation. He stood as tall and square-shouldered as a basketball hero, but spoke as a preacher, with arm lifted and finger pointed heavenward as, time and again, he addressed Students. If Students need inspiration; if they need models; if they wonder how to proceed in life; if Students seek goals, then they can look to these men who in their youths filled with hardships and scant of resources, made their ways through discipline and courage to excellence and high achievement in adulthood. I praise Haygood not even for his humble focus on others—so becoming in a man whose list of honors for his many books (including The Butler) and his long career at the Boston Globe and Washington Post recommend him to every reader and citizen. He persisted in pounding home the centrality of supporting high school students. He praised the youths who begat the excellent men assembled in the front row, calling for their coaches, families, and teachers to rise from the crowd and be recognized. Best of all for me, a publisher, he made a point of asking students to come forward with their questions after his talk, even though none had dared enter the long line of adults waiting for the microphone. Two young women stepped up and asked intelligent questions focused on how Haygood broke into publishing. Tigerland is a deeply researched book about how teenagers made it; the endings are necessarily multiple, complex, and in different keys. Haygood didn’t write Tigerland for a YA market, but for a fully human one, that includes teens who will become adults. As the topic of Haygood’s book and very presence suggested, his book can inspire teens who want to write as adults about human experience—who write not as teens, but as aspiring adults, like the young women who took the mic to engage with him. By reading widely in all literature and nonfiction, young writers can learn their craft; from their teachers and by taking the opportunities to hear writers like Haygood in their communities, they can find inspiration and practical knowledge to help them to their goals. We publishers too have a role in the advancement of young writers, by not assuming we publish content for limited ideas of supposed “teen level” or “teen taste,” but by aspiring for youth when we choose and market books that inspire next year's writers. Upper Hand Press is adding an imprint. You may have seen it already on Facebook or Twitter; its webpage will be coming soon. Kensington Place Books will serve the needs of a kind of writer whose work we often see but can't accommodate. These are people who offer good books for publication, but whose ultimate goals are to publish a book rather than to build a career as a writer. For these authors, self-publishing is probably the best course. Are you writing an intimate memoir; writing a family history; organizing a volume of poetry for limited distribution? Are you in a writing group that wishes to publish a volume of work; an educational institution that would like to do an anthology of student writing? These are the clients we anticipate serving. Our designer is John Hubbard, who designs catalogues for museums and art galleries around the world, and whose work has been awarded by the Art Libraries Society of North America. He is designing a standard layout and a standard cover into which an author's artwork can be placed. His design features excellent typography integrated with the client's art. This arrangement offers the writer a world-class design at greatly reduced cost. Upper Hand Press's long-standing connections offer printing in any quantity, ebooks, warehousing and distribution with Baker & Taylor, Amazon, and Ingram if needed. Best of all, there's no dashboard. After the initial inquiry, everything is handled personally with our publisher/editor, Ann Starr, who will answer all your questions and guide you through the process to just the book you want. If you think this may be the way to publish for you or for someone you know, contact Ann Starr either through a message on the KENSINGTON PLACE BOOKS Facebook Page, or through the message box at Upper Hand Press. Take a look at our model cover. The title is made-up, but the design is not. This lettering and layout will sit atop the author's photo or art; or, Hubbard can produce an entirely new design. ©2015 Upper Hand Press. Powered by Blogger.